Nineteen sixty six was a catalytic year in many ways with the appearance of the Soviet Fleet off the Washington and Oregon coasts. The massive fishing power of that fleet devastated the Pacific Ocean perch (POP) populations off these states in four years, 1966 to 1969, and brought a lot of changes. The first one was extension of the 3 mile limit to 12 miles in 1967 in an attempt to save the Pacific Hake or Pacific Whiting (PW) fish flour fishery that was in its infant stage of development. That got the politicians’ attention and later became law, with the 200 Mile Exclusive Economic Zone (EEZ) effective in 1977. Rockfish research was increased after 1966 and still continues. Two government-funded stern trawler factory ships of the Sea Freeze class operated in 1969 and 1970 in competition with the Soviet stern trawlers. 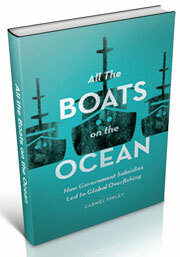 The U.S. fishing vessels went through a major change when the Soviet vessels could not fish due to the changed U. S. laws. A “joint venture” was formed where U.S. vessels would catch fish and transfer the full codends at sea by disconnecting and floating them to the Soviet stern factory trawler. They would be pulled up the stern ramp and dumped through a hatch to the factory belowdecks to be processed. Later the U.S. vessels would build their own stern factory trawlers. The observer program was formed so biologists accompanied the fishing vessels or factory ships to record the catches, especially on foreign vessels. The Department of Interior Fish and Wildlife’s Exploratory Fishing and Gear Research group was abolished when the Department of Commerce’s National Oceanic and Atmospheric Administration (NOAA) was formed in 1970. The fisheries’ research vessels were transferred to a national fleet, the NOAA fleet and administered from two different locations in country, the Atlantic Marine Center (AMC) in Norfolk Va., and Pacific Marine Center (PMC) in Seattle. I, with the R/V John N. Cobb, was transferred to PMC and the vessel was moored at the docks at Lake Union where my office was located, along with the other ships that made up the fleet. This was a major change for me and meant that my involvement with actual field biology at sea was at an end and now my shore job was management of the fisheries vessels. After I retired and became interested in the history of exploratory fishing, in 2010 I looked up Dr. Don Gunderson, a University of Washington professor who had accompanied me on one of the Cobb’s cruises in the early ‘60s. 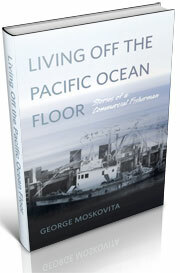 He referred me to The Rockfishes of the Northeast Pacific” (1) published in 2002, a monumental reference on rockfish. I couldn’t believe the amount of research that had been done on this group of fish since 1966. 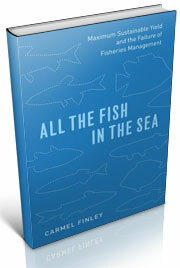 I was interested in one rockfish, POP or Sebastes alutus and found that there were 106 publications listed. One was listed in 1890, where Gilbert collected the species when the vessel Albatross visited the Pacific Coast. Starting in 1957 to the end of 1966 there were 12, or an average of 1.2 publications per year, and from 1967 to 2001 there were 92 for an average of 2.6 publications per year, doubling the publications. Don himself studied the POP and had published a number of papers on POP between 1971 and 1977, based on his dissertation for his doctorate degree. In 1987 Ito, Kimura and Wilkins put together a paper (2) for the Pacific Fishery Management Council on the history of POP using some of Don’s findings. In their presentation was a table listing the total catch in metric tons, which is the unit used worldwide in recording landings of fish by year taken in the EEZ area off the coasts of Oregon, Washington and the east side of Vancouver Island south of Cape Scott. They included foreign catches, particularly those of the Soviets. Metric tons have been converted to pounds landed by year and are presented in a graph showing the results the Soviet fleet had on this resource. In 1966, the first year the fleet appeared, there was a rapid increase in the catch to 61 million pounds which caused a lot of concern and became the catalytic year of change. The catch increased in 1967 and peaked with a little over 82 million pounds of POP landed and then there was a rapid drop to about 13 million pounds in 1969, the start of the collapse of the POP fishery. Before the fleet arrived in 1966 the Soviets had exploratory vessels scouting the Washington and Oregon coast. The Soviet side trawler Adler had been observed slowly working south along the 100 fathom contour off Washington in May 1965. Then in April 1966 the first of the fleet arrived off Oregon (3). The number of Soviet fishing vessels put on these grounds changed the fisheries. They targeted two different resources, the POP and PW populations and then moved to the Washington coast in June, where the fleet reached its’ maximum number of about 100 vessels by July. Side trawlers dominated the fleet. In September they worked both Washington and Oregon waters, with the majority leaving by December. The fishing vessels that actually caught the fish can be divided into two groups; the side trawlers classified as RT, SRTM, SRTR and SRT, and the stern trawler factory ships which are classified as BMRT and RTM. In 1967 a much larger fleet dominated by the side trawlers arrived in April and May off Oregon as they had done the year before and shifted to the Washington coast in June. Most of the fleet again departed by December. In 1968 there was a major change in the fleet composition, an increased number of stern trawlers used off Oregon and Washington and a decrease of side trawlers (4). I’m sure that the Soviet fleet had quotas they had to meet, whether they were fishing POP or PW and I assume that they were concentrated on PW because of the declining catch rate of POP. POP and PW live in different parts of the ocean. PW migrate into Oregon and Washington waters in the spring and summer of the year, where they are caught with trawls on or near the bottom of the ocean on the continental shelf in less than 100 fathoms of water. They leave the area by winter. The majority of POP live on the top of the continental slope in waters generally deeper than 100 fathoms and are slow growing, some reaching 100 years of age. As Lee Alverson had predicted there was a huge untapped resource of POP in the 1960’s, but the Soviets found them off the Washington and Oregon coasts and in four years about wiped them out with their distance water trawler fleet. Hopefully the POP are being restored now. Pacific Whiting, on the other hand, is a prime resource today that is being harvested by the U. S. fleet. (1) Love, Milton S., Mary Yoklavich, and Lyman Thorsteinson 2002. The Rockfishes of the Northeast Pacific. University of California Press, Berkeley, Los Angeles, London. (404). (2) Ito, Daniel H., Daniel K. Kimura, and Mark E. Wilkins 1987. Status and Future prospects for the Pacific Ocean Perch Resource in Waters off Washington and Oregon as Assessed in 1986. Northwest and Alaska Fisheries Center, National Marine Fisheries Service, National Oceanic and Atmospheric Administration, 7600 Sand Point Way NE, Bin C15700, Seattle, Washington 98115. April 1987. (3) Hitz, Charles R. 1970. Operation of the Soviet Trawl Fleet off the Washington and Oregon Coasts during 1966 and 1967. U.S. Department of the Interior, U. S. Fish and Wildlife Service, Bureau of Commercial Fisheries, Washington, D. C. March 1970, Circular 332, pp 53-75. (4) Hitz, Charles R., 1969. Soviet Hake Fleet Keeps Up Pressure. National Fisherman, April 1969, Camden, Maine 04843. This entry was posted in Charles Gilbert, Cold War, Dayton Lee Alverson, Exploratory Fishing Base, Fishing, History of Science, History of Technology, Pacific Fishing History Project, R/V John N. Cobb, Sebastes rockfish, Soviet environmental history and tagged Fisheries Science, groundfish, trawling. Bookmark the permalink.